Screen Shot Our Snapcode and Add Friends VIA Snapcode in your Snapchat App! Open Your Snapchat Camera and Take A Snap of Our Code to Add Us! 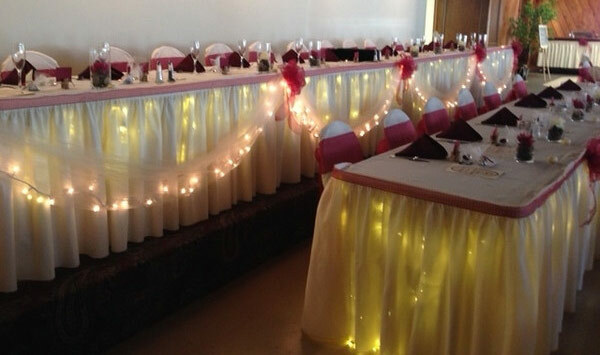 Carson’s Tavern & Catering has been a premier dining location in Scottdale, PA since 1982. The building was recently renovated in November of 2017, and now features a full menu along with our award-winning weekend buffets. At Carson’s Buffet & Tavern, you will find that excellent food meets excellent service thank to our top-notch chefs and wait staff. We’ve Earned Justified Accolades for Our Award Winning Food and Services! For reservation set up or additional information about our award winning food and services, contact Carson's by calling (724) 887-7404, email carsons@carsonscatering.com, or visit us in person on South Broadway during operating hours. You can also make online reservations at any time! Restaurant reservations are suggested, but not required. Whether you have a casual occasion coming up, a formal wedding to plan, or if you simply need a side dish and dessert for a picnic, our team at Carson's will meet your needs with complete satisfaction! © Carson's - All Rights Reserved - Web Design by Higher Images, Inc.